I remember standing in my Grandmother’s Florida kitchen and as we chatted, she was squeezing lemons. She said that a neighbor gave her a bunch of lemons from her lemon tree and since they were getting soft she was going to squeeze the juice out of them, freeze it in one-cup containers to use whenever she needed a cup of lemon juice for cooking. That little instance was one of many, “We didn’t get where we are in this life by wasting things” lessons she taught me. I don’t have a lemon tree in my yard, but I did have a bunch of oranges in my refrigerator. After enjoying the oranges, I looked at the peels and thought about that long ago conversation with my Grandmother. 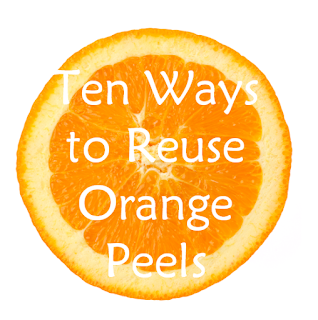 I can’t compost orange peels but I figured that they had to be useful. I put the orange peels in a container the freezer and did some research. 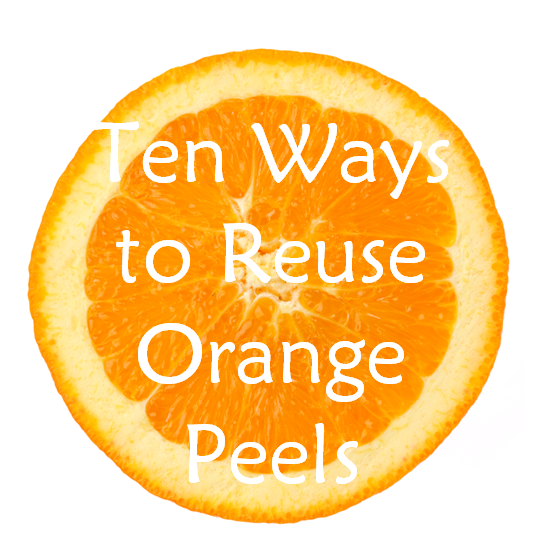 Here are 10 ways I found that you can put those old orange peels to good reuse. Even after caulking the windows and adding draft strips to the outside doors of The Condo the living room was chilly during the winter. No matter how high I set the thermostat, there was a mighty draft coming from somewhere in my living room. I set out to find it. I didn’t have to go very far, because according to the US Department of Energy 15% of the heat loss in a home is through an open fireplace damper when the fireplace is not in use. I put a hand in front of the gas fireplace grill and felt a cold breeze. Caught ya you little energy napper! You can easily solve this problem if you have a wood burning fireplace by just closing the damper. Boom. Problem solved. Unfortunately, I have a gas burning fireplace and the dampers on a gas burning fireplace are permanently kept open. Since we only use the fireplace during power outages and for entertaining, I wondered if there was a way that I could close the damper when it wasn’t in use to keep the heated air from escaping up the chimney, and save money on my utility bills, and reduce my natural gas usage. Fortunately, you can stop drafts in a gas fireplace with a Chimney Balloon, or Chimney Pillow . It looks like a Mylar balloon that that you stuff up your chimney when it’s not in use. You can buy one of those or make your own version. Do I have to even have to tell you that I made my own DIY version? Of course not. I have a family member who is in the military and deployed to Iraq. I dug out the yellow ribbon from the box of front porch decorations and hung it on the small tree in my front yard. Traditionally people hang yellow ribbons to symbolize that they are waiting for the safe return of a loved one or of military troops who are unable to come home due to an overseas assignment. Since my tree is small, I chained two cable ties together and used those to attach it to my tree. Yes, the whole thing is plastic, but I wanted something that wouldn’t fade, was reusable, and could survive the crazy Ohio weather since it’s going to be up for at least a year. Scene: Night. The Condo residents are nestled all snug in their beds. SFX:Silence except for Blitzkrieg, the 12 pound Pekingese who is snoring louder than a 300 pound man in desperate need of adenoid surgery. Groggily I shuffle to the bathroom. The supposed stay up spring loaded shower curtain rod fell down. I raise my hands to the heavens and wonder how I pissed off the home improvement gods this time? Why must these things always happen in the middle of the night? Why can’t I get a good night’s sleep? I though I took care of this problem months ago. Once I realized that the el cheapo nontension plastic shower curtain rod that came with the house was held up with nothing more than good intentions, I replaced it with a metal tension shower curtain rod like this one (aff link) with grippy rubber tips that are supposed to stay in place no matter what. Apparently I was wrong about the long term stay uppidness. Time to break out the power tools. 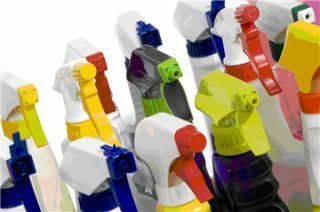 help me test children’s products. One of these products was Fabkins children’s napkins. Fabkins are cotton cloth napkins that are a little smaller than a full size dinner napkin and made to fit on kid’s laps and in kid’s lunchboxes. Fabkins founders Joyce Raffo and Paige Rodgers wanted to pack waste free school lunches for their children. 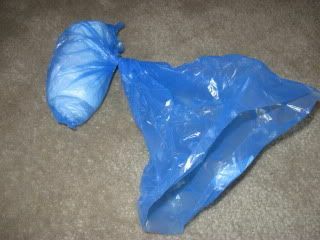 The moms had a hard time finding reusable cloth napkins that weren’t too big for a lunch box and that were, well, fun. They decided to make their own and Fabkins was born. I got a filing cabinet has a gift to hold all of the papers and whatnots that goes with being a responsible adult. It’s made of flimsy thin metal. I’m sure it was a Wally World (ugh!) special because shortly after we got it the plastic drawer pull snapped off in my hand when I tried to use it to open the drawer. I looked for a replacement handles at Lowes but I couldn’t find anything that would fit the screw holes that were already drilled in the cabinet drawer front. Husband and I both remarked that we should just go to Staples and get a more substantial filing cabinet and send the cheap-o cabinet to that great metal recycling bin in the sky. OK, not really a recycling bin in the sky, more like the recycling dumpster outside of the fire station around the corner but you get my drift. I was trying to be poetic about refuse. I was poking around the Habitat Restore and found some hideous brass 1970’s drawer pulls. The only redeeming quality was that these drawer pulls had a back plate that would cover the old screw holes in the drawer front if I needed to drill new ones to install the new handle. Oh, that and the handles were cheap. At fifty cents for the pair I figured that I could do something with them to deuglyfy them and have a more useful filing cabinet once again. I painted the drawer pulls and back plate with some leftover silver spray paint. Once the silver paint was dry, I painted the interior of the back plate with black paint for interest and to de-70’s the look at bit. I installed metal draft blockers on the front and back doors of The Condo. Then I noticed that some areas of The Condo were still cold and a bit drafty – around the doors to my coat closet and pantry, which are both on outside walls. These drafts meant that my heater needs to work a little harder to keep the Condo warm in winter and the air conditioning needs to work a little harder to keep the Condo cool during the summer. These drafts were wasting energy and costing me money – something I try to avoid. I like to save energy and save money on my heating and cooling bills. What to do? I needed something to block the drafts on those interior doors. I didn’t think a metal draft plate would work on my wooden hollow core doors. I didn’t like how traditional fabric door draft dodger/door draft blocker/door draft stopper/door draft snake won’t stay in place. So I made a no slip stay put door draft dodger. Here’s how I did it. Not only is making this no slip door draft blocker quick and easy project, but it is also a great stash buster! Recently I was discussing how to reduce city energy costs on an online forum. A user offered the opinion that once everyone had converted to producing electricity using only solar and wind energy that we would end our dependency on fossil fuels forever. Many others chimed in, everyone agreed solar, and wind for everyone is the way to go. Great idea until I looked out my window and saw this. I noticed that the person who offered this opinion was from Costa Rica, where they have sun in abundance.